Is there a more ubiquitous and over-sung subject in music than love? Probably not, but lyricists and songwriters keep finding new ways to traverse the well-worn landscape of romance. 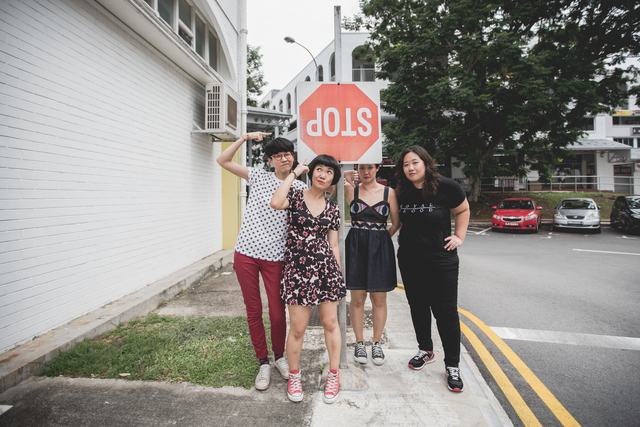 In our local context, punk/riot grrrl four-piece NO PANTZ have broken new ground with 'HDB Love Song', which cheekily parses the pragmatic absurdity of Singaporean romance and its inevitable result: an HDB flat. “Don’t need to wait, just get me my wedding ring / We can buy a BTO somewhere in Marsiling,” go the sung-shouted lyrics, its verses dotted with plenty of references to Singaporean neighborhoods. And what’s more — Singapore’s OG punk grandfather, X’Ho, features on the track. This song could not have been made anywhere but in Singapore, an intentional move on NO PANTZ’s part: “It’s kind of our dance punk homage to Force Vomit’s ‘Siti’ with all the local references, which not many Singaporean acts do other than SHiGGA Shay,” said drummer Lennat Mak in an email interview. 'HDB Love Song' is the standout of NO PANTZ’s self-titled EP, which they dropped on Christmas day. With other tracks 'Karate OK!' and 'No Pantz', the short debut is an energetic 7-minute listen, the product of four women “living out a common childhood dream to be punk rockers,” according to their Bandcamp description. Composed of Amanda Keisha Ang (vocals/rhythm guitar), Gracinia “Grass” Lim (backing vocals/bass), Natalie Pixiedub (guitar) and Lennat Mak (drums), NO PANTZ convened in a thoroughly 21st century manner: in the comments section of a Facebook post by Lennat where she professed a desire to be in an all-girl band. They jammed for the first time in February 2014 and debuted at the 100 Bands Festival later that year. — Amanda Keisha Ang, guitarist/vocalist of NO PANTZ. Although they’re very much a fledgling band, all four musicians have other projects and presences within the Singaporean music scene. 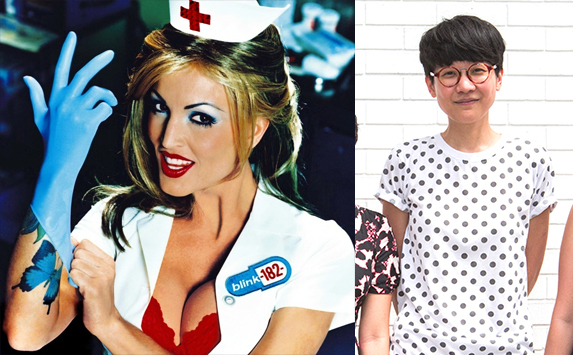 Amanda is a DJ and the co-founder of music and party collective ATTAGIRL!, Lennat the drummer of Obedient Wives Club, Grass the drummer of The Powderfuls and Natalie a DJ and co-founder of FFF Girl DJ Bootcamp, which is also helmed by scene vets Debbie Chia and Cherry Chan. Clearly, no one can really dispute that NO PANTZ has experience and credibility, but somehow some people still can’t accept the notion of a riot grrrl band making sloppy, light-hearted punk music on their own terms and at their own pace. “We’ve been told before that we were terrible, that we were better off being strippers or pole dancers instead of being onstage busting out a song,” Amanda told Bandwagon. When you’re up against such casual sexism, it’s ever more important to stick to your riot grrrl guns, and assert your “freedom to create and share our work without facing sexism/racism/heterosexism/other misogynistic behavior that still exists today in this dominant bro culture,” in Amanda’s words. With their principled gumption, NO PANTZ are already poised to be an important part of Singapore's burgeoning scene, but as with all passion projects, the band is flexible with its future. “I don’t even know what’s going to happen tomorrow with NO PANTZ,” said Lennat. 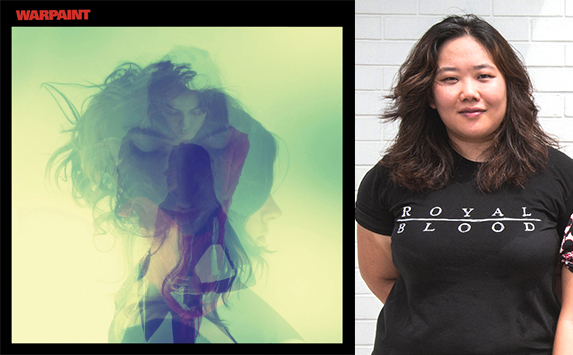 “This band is all about having fun and we usually take it as it comes.” Nevertheless, according to Natalie, there’s more material in store and some new songs to come — potentially with some electronic or electroclash elements, as two members of the band – Natalie and Amanda – are DJs. 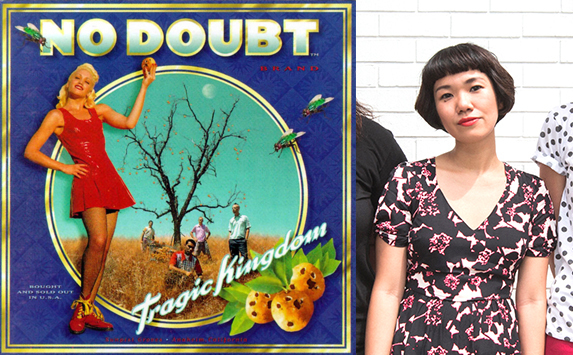 We asked NO PANTZ to run down five albums influential to each member and the band as a whole. Warpaint's 2014 eponymous album is dark, sensual, and atmospheric; a staggering production of beauty, fragility, honesty, belief and badassery all rolled into one. Whenever I listen to this album (ideally with a candle burning 'coz of Almost Famous and how you'll see your entire future), I get inspired to be better. But I usually get a little spent listening to the album and would take a nap and forget all about being better. Then the cycle repeats itself. This album inspired me to pick up a musical instrument and go out to jam! 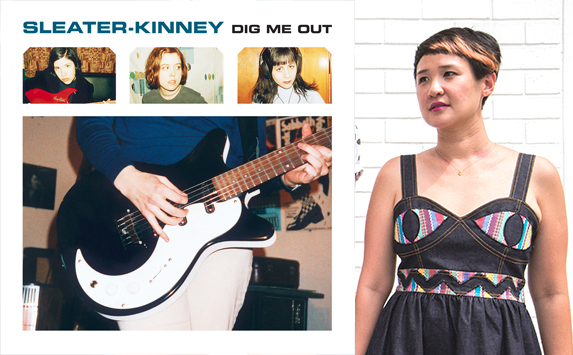 Sleater-Kinney's Dig Me Out was my introduction to riot grrrl. Before that the only female musicians I was familiar with were either solo or part of other bands, like Kim Gordon, Bjork, and D'arcy from Smashing Pumpkins. The other all-girl bands I knew were pop - even Shonen Knife was kinda gentle, so it really made me feel like having a rocking balls-out female band was possible! And I loved them for it. This was a really memorable album for me because it was also the first time I was introduced to ska-punk at 14 with Save Ferris. I really admired Gwen Stefani's pleading voice and style, and her energy is just amazing. There were so many songs in the album that spoke to me then as a teen. The album inspired me to want to form a ska punk band, though that never happened. Lennat: Pure, unadulterated raw, sexual energy. The first time I heard 'Date With The Night' was at this underground record store at Camden. The lead single wasn’t released officially yet, but the shop owner already had copies and was all like, "You've gotta listen to this!” The album is also a big part of the time when I started to discover all the great music that shaped my ‘20s. Amanda: The first song I heard on the album was 'Black Tongue' and I was hooked! Grass: Same. My favorite tracks are 'Black Tongue' and 'Maps'. Natalie: For me, the song that I couldn't get enough of was 'Pins'. That energy and the unexpected chorus riffs (or is it breaks) really killed me. 'Maps' is one of my favorite emo anthems to this day, and being introduced to the personality of Karen O through the video for 'Date With The Night' was inspiring. I STILL WANNA BE LIKE HER (minus her solo album). 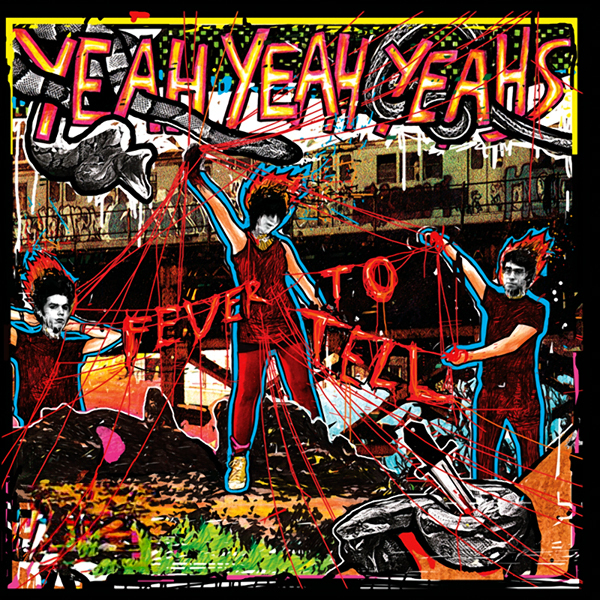 That and when I was studying in Melbourne, I would blast this album whenever I cleaned the house toilet. The grittiness inspired cleanliness.